This saying of Jesus was originally offered to Palestinian peasants, crushed by their inability to keep the Jewish Law. Paul also struggles with this in today’s reading from Romans. He feels two strong and opposing tendencies with his being. Without the new relationship of faith through Jesus, the regulations of the law only cause the tendency to break the law grow stronger. Through the centuries Christians have found this Gospel perfectly expresses the sheer relief of following Jesus: how wonderfully our sins, doubts, and worries tumble away. In our world today, we are worn down by loads and loads of work, troubles, and concerns. For some, religious rules continue to be a burden. However, Christ calls us to focus on two things – Love God and Love your neighbor. John Bunyan in Pilgrim’s Progress (written nearly 400 years ago) speaks of such burdens: anger, greed, selfishness, faithlessness, pride, fear, and on and on. Pilgrim felt a huge burden of sin and guilt weighing upon his back in the form of his backpack. In this state, he felt he had to find God, and he left his home and family to start a pilgrimage. His burden continued to be heavy along the way where he fell into ditches, climbed narrow rocky paths, and faced all sorts of adversities. When he climbed the final hill, he discovered a cross. Just as we look toward the empty cross in our churches, we are reminded to drop our burdens at its foot. For Christ carried them all to the tomb where they were left. 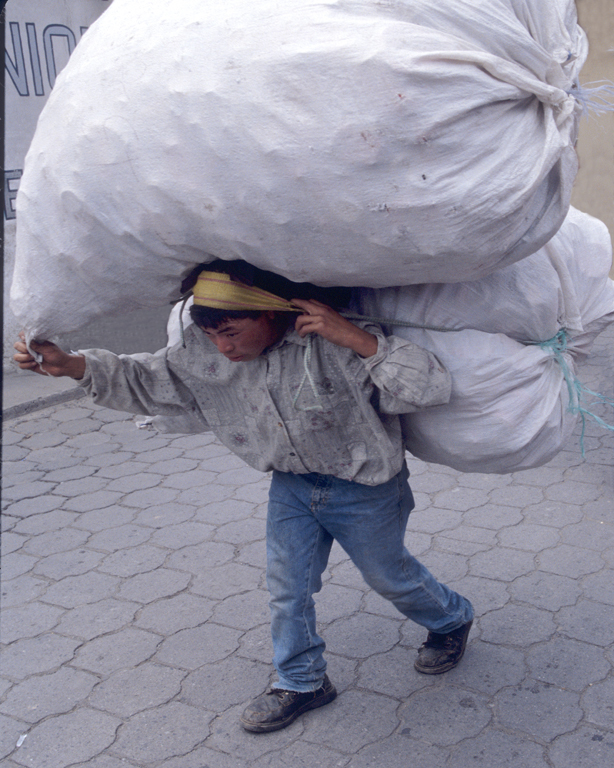 What heavy burden would you like to exchange for the light yoke of Jesus? What rest does Jesus promise? Reflect on what that rest might feel like. How is the yoke of Jesus easy? What does it mean to be gentle and humble in our world today? What is the burden that Paul carries? How does he find resolution for this conflict? How are Paul’s struggles similar to your own? Immortal and holy God, you alone can order our unruly wills and infuse our souls with the law of love: grant that by the indwelling of your Holy Spirit we may know the yoke of the Gospel of Jesus Christ to be the light and source of true rest, that we may fulfill our callings with freshness and gladness of heart, to your honor and glory. Amen. This entry was posted in Ordinary Time, Pentecost and tagged Book of Common Prayer, burdens, Discipleship, Faith, Gospel of Matthew, Jesus, John Bunyan, Lectionary, Paul. Bookmark the permalink.